I think it was a ludicrous 3 years ago since I did any kind of detailed audit or review of my blog. How bad is that? Like any business, you should be constantly monitoring your blog, assessing what’s working, what’s not, making adjustments, improvements and pivoting along the way. Yet, apart from updating the header of this site as I got bored of looking at the old one every single day, I’ve done embarrassingly little to make sure things stay on track around here. I’ve been so consumed with producing content (which granted is an important pillar) but it’s never a good idea to leave analysing stats and doing general blog-keeping on the back burner. I got a wake up call last week though when I had to dig into some stats for some upcoming projects. Recently, rather than my page views steadily growing as I produced more content they had in fact plateaued. This can be due to a number of causes. I like to point my finger at it being more competitive in the bloggersphere now, citing how readers are more distracted and don’t have time to read every post, just the ones that really speak to them. But if I’m being really truthful, another part of the problem is me. I’ve dropped a lot of the good habits I would perform ritually in the early stages of building my blog. I haven’t spent any meaningful time thinking about how I promote my content over the last few months and as a consequence I’ve failed to innovate while other bloggers steam ahead. 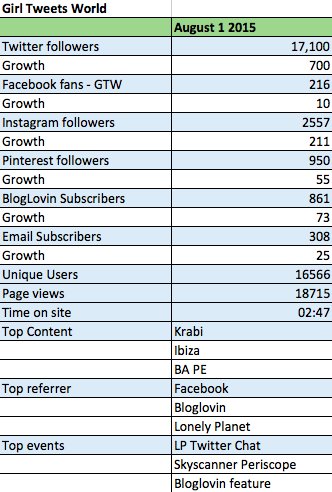 Believe it or not, part of the consultancy services I offer to bloggers and brands is a blog audit. 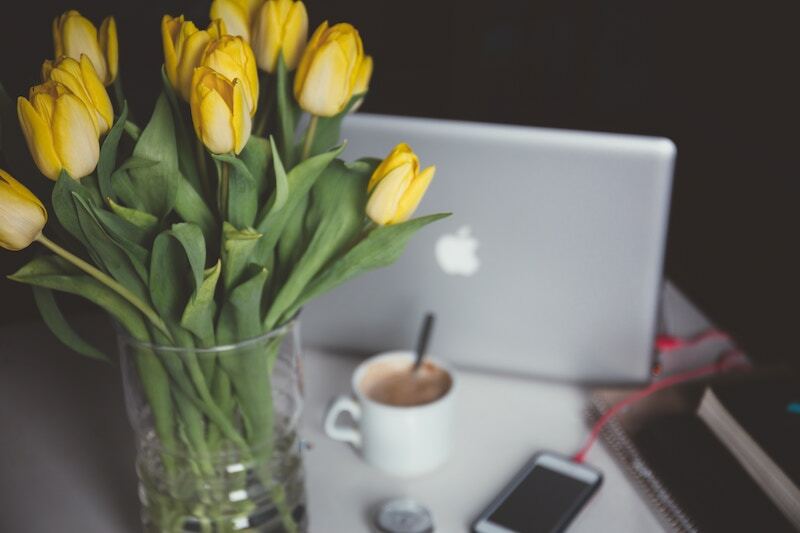 I’ve been very busy helping everyone else improve their blog and totally neglecting mine! For anyone looking to perform this exercise themselves, here’s what I’ve been assessing this week, along with some the actions I’m putting in place as a result. I’ve been tracking my page views and follower number over the last few months but this week I dug deeper into Google Analytics and the audience demographics on my social media sites and the results were surprising. As you/your content changes so does your audience and it’s really important to touch base and reconsider who it is you are writing for and what they are most interested in. It’s been useful for me to drill down into the cities where most of my followers are based so I can provide travel tips relevant to their regions. I also discovered that Twitter has developed its audience analytics to include information such as spending habits, household income and main interests of your audience, which is really useful for making sure your key content/messages are on point. I also used Google Analytics to help analyse the top performing content on the site. While some of my best performing posts are a lucky SEO coincidences, the rest are niche travel guides, airline reviews and my tips for transiting through major airports – all topics which I now plan to expand upon. Aside from the analytics I also took an afternoon with an old school pen and paper to think about the type of content I enjoy reading. I started blogging 7 years ago and as my interests have changed so has the type of content I enjoy consuming and consequently producing. I believe the best content comes from writing about things that interest you as a writer so I’m considering adding a wider range of travel-related subjects as well as writing styles. My blog started as a series of silly stories from my travels and I miss this style of journalling. As readers don’t necessarily read every post I’ve realised I can be a bit more varied in my approach and let people pick n’ mix the bits that intrigue them. Update: Digital Nomad Wannabe has a fantastic resource for optimising old posts for SEO. I’m also making improvements to my posts that do rank well. From looking at my Google Analytics I can see what search terms are drawing people in and where they’re dropping off. So again I’m selecting a handful of posts each week to improve by updating the photography, including calls to action/further reading links and creating pins so it’s easy to save the post for later. I created 2 pins a day for old posts last week & look at the results! Navigation is an endless source of bother for me as the more content you have the more work you have to do to make sure people can find it. This is something I’ll probably have to seek outside help on as I’ve got whole categories that are a little buried at the moment. A lot of this comes down to the theme you use and while I quite like the look of mine the variety of posts it shows on the front page is limited. This one will be a work in progress. Another woefully abandoned section of the site is my About Me page – possibly the most important page on the whole website! I constantly tweak this page but I think now that I’m in Melbs and redefining some of the scope of my content it needs a full rewrite. Oh fun! I also book most of my hotels through booking.com but had failed to embed search boxes for readers to do the same in most of my destination guides. I’m trialling a few different search boxes and banners at the moment to see what has the most conversions (if any!). I finished up the week by enrolling in The Blogger Course by The Travel Hack. 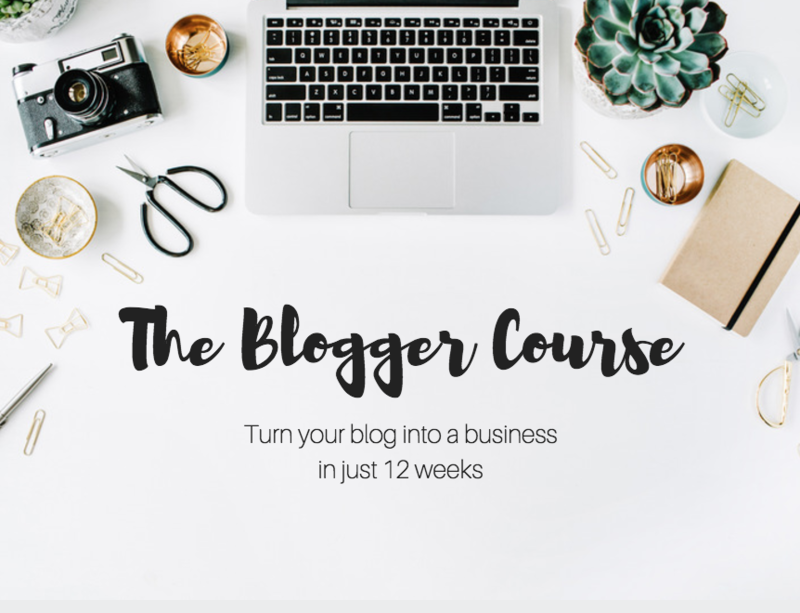 It’s a 12 week course that covers everything you need to know about blogging from building a brand to preparing a media kit and setting up income streams. It’s a been a fantastic reminder for me of some of the blogging best practises I’d abandoned, as well as sparking new ideas for content and revenue opportunities. Whether you’re a new blogger or ‘old’ one like me who has got a little lazy I thoroughly recommend this course to get you on the right track. You can sign up here*. I want to make sure I don’t let any of these practises slip again so I’ve reinstated a monthly report I created when I first relaunched Girl Tweets World to keep track of things. You can see a snippet here. I’m once again excited about the content I’m going to be sharing, including a new weekly personal update (first one’s here) and an interview series with my favourite professional travel bloggers starting next week. I’m also ecstatic that the results are already starting to show. After optimizing old posts, creating pins & getting social my page views increased by a whopping 50% in 1 day without me having to publish a new post. How’s that for motivation?! 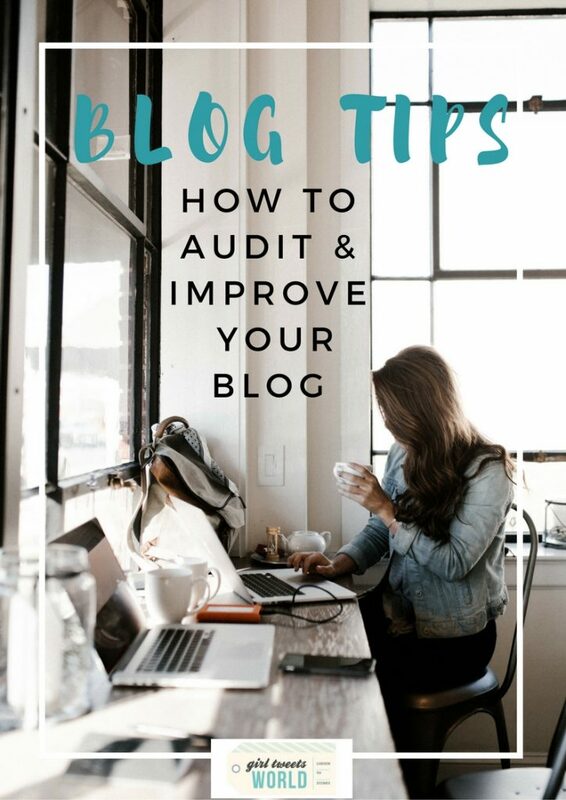 Have you performed a blog audit lately? What did you learn? *Note I am an affiliate for this course – all part of the improvements! – but never recommend anything I don’t stand by. I’m confident you’ll make the cost of the course back within weeks. I was actually thinking about doing an audit of sorts last week coincidentally! Your tips have inspired me to get cracking. Really good reminder! I just changed my layout completely and with that I will need to update posts to make them pretty but I will also look at their SEO. May I ask what you use for keyword research? I use kwfinder and Google Adwords but find the most helpful is to look at what auto-populates in Google/ comes up in related searches when I type in the topic I want to write about. You’ve inspired me to do an audit of my own site! I started one last summer, after attending a small blog workshop here in the US called BlogHouse (which was brilliant, and so inspiring), but as time went on all my big plans kind of fell by the wayside. I have so many old posts to optimize, and I’m way behind on stuff like affiliate marketing. I’d love to hear more about what you thought of The Blogger Course – I’ve had my eye on it for a while! I had the same thing when I visited Traverse, I came away with loads of ideas but not a clear plan on how to action them. Monica’s course has been really good at not only reminding me of everything I wanted to improve but also because it sets you little tasks and provides downloadable worksheets makes sure you get it done too! I found the section on affiliate marketing and fb advertising the most useful but it’s all really good advice. I’ve actually just done a blog audit and am working on amping up my content that brings the most traffic, as you mentioned too. Thank you so much for sharing your monthly report you do! I’ve been slacking on that, but really need to keep track better. I love the one you use! I’ve been so slack with the tracking but if you’re making improvements it can be great for motivation when they start to pay off! Great reminder, Jayne! A big thing for me that I had been neglecting was cleaning up broken links. I realized I had about 200 of them after my recent redesign and should have been checking every 3 mos or so. But nope, I hadn’t done it in years! Most were blog comments via CommentLuv (which I’ve now deleted) from blogs that are now defunct. Lots of outbound links to posts that go to 404 and a bunch of faulty 404s internally that resulted from my redesign. It’s been quite a process updating them but I take it one step at a time. Any bloggers out there reading, run a broken link checker regularly to avoid a major headache down the road! It won’t tank you SEO on its own but is just one small part of having a healthy site.